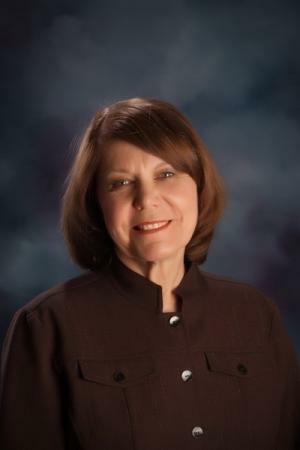 Nancy P. Alexander's current and previous titles include executive director of Northwestern State University Child and Family Network, and president of the North Louisiana Chapter of the American Society for Training and Development (ASTD). Winner of the Professional Trainer of the Year Award from the North Louisiana Chapter of ASTD, she regularly conducts workshops and training sessions at national and regional conferences and teaches interactive early childhood education courses over the internet. She is a frequent contributor of articles and photographs to early childhood publications including Early Childhood News and Child Care Information Exchange. Nancy is a nationally recognized speaker and a highly sought-after presenter and workshop leader in early childhood programs throughout the country. She has been an active speaker and participant in the National Association for the Education of Young Children (NAEYC), Southern Early Childhood Association (SECA), and Louisiana Early Childhood Association Annual Conference, among many other regional and national conferences. Nancy has received numerous honors throughout her career in early childhood education. Nancy was selected for the Shreveport Chamber of Commerce "One Hundred Women of the Century" and the Southern Early Childhood Association Outstanding Member Award. Nancy Alexander lives in Shreveport, Louisiana. "This was so easy to pick up and pull activities out to use immediately. It seems to have an endless supply of ideas for training. There are so few books of training specifically for early childhood and this is an excellent resource." "The format was helpful, in that a trainer can easily flip through the pages to find what is most appropriate to the workshop being conducted. The compilations of icebreaker and other games was vast." Q: In Early Childhood Workshops that Work!, you present how to create effective workshops and training seminars. What is the most important advice you can give to educators who want to become better trainers? Evaluate your work regularly. Always striving to improve is the best advice I can give. Read the evaluation sheets so you know what trainees liked—or didn’t and what they considered most important. Analyze pre- and post-tests for what was learned or what was misunderstood. Reflect on how smoothly the session went, or even use videos of yourself are ways to help you become better. Q: Your career in education has spanned more than 30 years. How has training changed since you first became an educator? What challenges to educators face today that may have not been a factor earlier in your career? My own training has come a long way. When I first began, I thought that I could just “tell them a lot about what I know” and that process would make a difference. Now, we’re looking at the big picture of professional development and life-long learning. It’s not enough to learn to do a job well. The job requirements change or we become aware of new research or program standards and thus new skills are required. Technology, too, is rapidly changing what one needs to know and be able to do. So everyone needs to be a part of a true community of learners. Q: You were chosen by the Shreveport Chamber Commerce as one of “One Hundred Women of the Century.” What does that honor mean to you? I am awed and humbled by the award and most grateful for receiving it. There is a wall at the chamber office with our names—and when I pass it, I have a sense of pride that the community recognizes the importance of a career working with or for young children. Q: You wrote an article for Early Childhood News called “Maximizing Outdoor Play: Moving Interest Centers Outdoors.” Are children in danger of not getting enough time to play outdoors? Why is outdoor play important for young children? Certainly they are! The days of going outside every day after school and spending all day Saturday in vacant lots, parks, or front yards are long gone. We are now hearing more about the need for children to connect with nature and the benefits our earth provides as well the need for unstructured time with others for social development. And then there are the concerns about obesity and fitness resulting from lack of exercise. Outdoor play does it all—exercise, connecting with nature, and the freedom to be a child in social interactions with other children.